Eight in the morning and the port of Piraeus is already crowded. Two ferries, arriving from Kos and Lesbos, have just docked at the quay, dropping off hundreds of refugees. After travelling for weeks from Syria, Iraq or Afghanistan, they look around, bewildered and tired, waiting for the shuttle bus between the station and the various port terminals. “We left Damascus two weeks ago”, says 54 year-old Mohamed, who worked as a bar tender in the Syrian capital. “It wasn't easy to get to the Greek island. 59 of us on a tiny boat, even though we paid 1,200 dollars each”. The life-jackets, bought in Turkey, fortunately weren't needed. Surviving that danger and arriving on the Greek mainland, makes them almost cheerful. “We were eleven setting out, all from the same family. This is my daughter Reem – she's 22 and just married! For her and Rayd this is a sort of honey moon!” Mohamed jokes, looking at the couple. They smile, slightly embarrassed. 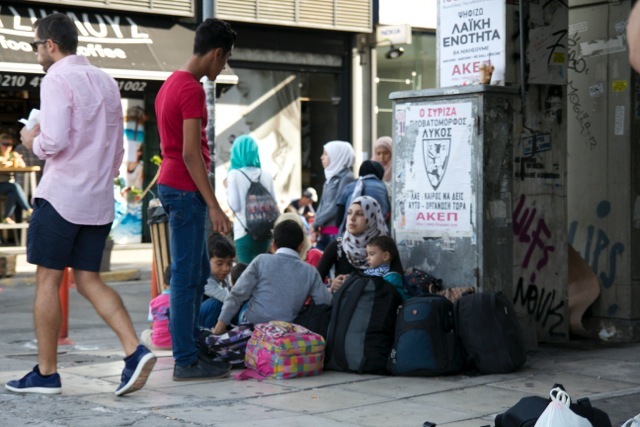 The Greek authorities expect the arrivals in Piraeus to amount to 10,000 between yesterday and today, as a result of the faster treatment of dossiers on the Aegean islands and Dodecanese, which have been in a critical situation for several weeks. From behind him another nephew films his uncle with his phone – at home they can follow the interview, almost live. WhatsApp switched off and the cell-phone back in his pocket, it's time to think of the road ahead. “I think we'll get a private van to the Macedonian border”, muses Mohamed. The cost, this time, is not prohibitive: 45 euro a head, about the same as the direct Athens-Salonicco. “You know, on this trip we're spending all our savings. I've worked for thirty years and now I'm investing the lot to get to Germany or Denmark”, concludes Mohamed. 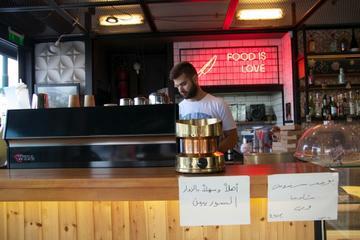 In Damascus, he tells us, the electricity goes off every two hours; that's why he had to sell his freezer. “Assad should have dissolved parliament years ago. The Syrians would even have re-elected him, but now. . . And the Islamic State – they're destroying everything”. Mohamed shifts his backpack on his shoulders and sets off with his family. Within a few hours, I hope, they'll be in Macedonia.